Getafe is the joint lowest Spanish Primera Division away goal scorer so title-chasing Barcelona looks ripe for a win-to-nil bet at odds of 1.73 with Paddy Power. Barcelona will be the first of the three Spanish Primera Division championship contenders to play this weekend and, therefore, there should be no excuse for Barca clocking off. It is imperative that it beats Getafe to apply pressure to Atletico Madrid and Real Madrid, both of which holds some kind of advantage over Tata Martino’s second-placed side. Another factor at play will be emotion. 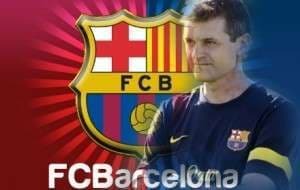 Barcelona will be playing its first home match since the death of its former coach, Tito Vilanova. One would think that Barcelona’s stars will want to put on a show in honour of their late manager and the visit of a Getafe side that has scored just 11 Spanish Primera Division away goals presents the likes of Andres Iniesta, Lionel Messi and Xavi with an opportunity to turn on the style. A Barca win to nil would be appropriate. There is always the danger with Barcelona that it will give up a sloppy goal or two, which is precisely what it did in the reverse Spanish Primera Division fixture in December. Barca found itself 0-2 down inside the first 15 minutes before it resumed normal service and went into the break leading 3-2 thanks a 10-minute Pedro hat-trick. Barca finished the game as the 5-2 winner, with Cesc Fabregas rounding out the scoring midway though the second half. One is hoping that Barcelona will keep its mind on the job for the full 90 minutes versus Getafe, something that it did in both legs of the Spanish Copa del Rey tie between the teams in January. Barca won 4-0 at home and 2-0 away. Barcelona will be desperate for Levante to upset Spanish Primera Division leader Atletico Madrid on Sunday. What seems most likely to happen in the suburbs of Valencia is that the game will feature relatively few goals so a bet on under two and a half goals at odds of 1.95 with Bet365 and Stan James appears to be in order. Atletico Madrid has come this far playing a particular way and it would be folly to change now with the Spanish Primera Division title in sight. One expects that Atletico will not force the issue versus Levante until such time that it has to become the aggressor and, usually, Atleti finds itself ahead on the scoreboard before it has to chase. More than half of Atletico Madrid’s 35 Spanish Primera Division matches have gone under two and a half goals. That is a remarkable statistic for the leader of a high-scoring competition. Another crazy piece of data is that Atleti’s Spanish Primera Division over/under ledger away from home stands at 6-11. And one has more numbers to throw up. Levante’s Spanish Primera Division games are the lowest scoring in the tournament, with its 35 matches producing an average of 2.09 goals. Twenty-two of Levante’s 35 Spanish Primera Division games have gone under two and a half goals and just six of them have featured more than three goals. One has to turn a blind eye to the result of the reverse Spanish Primera Division fixture between Atletico Madrid and Levante in order to strike this weekend’s bet because the December clash in the capital finished 3-2 to Atleti. But there are enough reasons to punt at close to even money. Finally, there is a statistical argument for betting on under two and a half goals in the Spanish Primera Division match between Malaga and Elche. Malaga and Elche are two of the Spanish Primera Division’s least entertaining sides, with Malaga’s 35 games averaging 2.31 goals and Elche’s 35 matches having a mean of 2.14 goals. Malaga defeated Elche 1-0 in the reverse Spanish Primera Division fixture and that was in spite of playing with an extra man for 30 minutes. BetVictor is offering odds of 1.78 that Malaga and Elche go under two and a half goals for the 22nd and 21st time respectively in the Spanish Primera Division this term.